Wedding season at its peak and every bride is preparing for her wedding. Many things to consider when shopping for wedding dress, jewelry, shoes, and salon everything is a dream, but sometimes can be very stressful mostly for the person live abroad and come back few days before wedding or if your budget is low. A sky high price of gold left us no choice to go for an artificial jewelry. When it comes to an artificial jewelry I always go with kundan/polki. 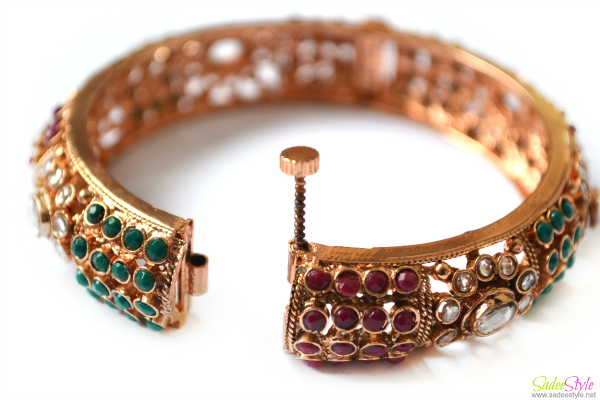 (to learn more about Kundan and Polki read my previous post. I'm a biggest admirer of kundan/polki jewelry. They look elegant, classy and very traditional. I'm getting married in coming winters so stared preparing from now. Although I have gold jewelry to wear on my big day, but still I'm looking for some fabulous pieces of jewelry to wear after marriage parties. 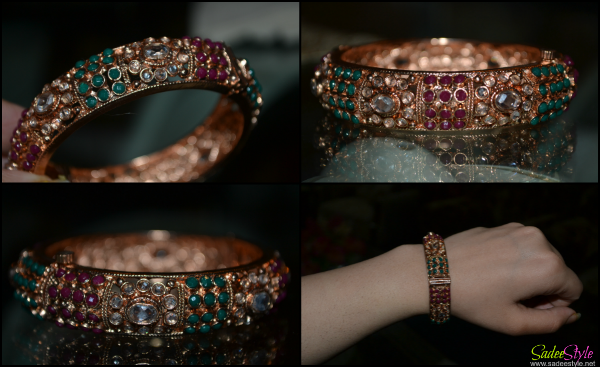 I found this bangle from Daraz.pk. The largest online shopping site until now to shop branded stuff online. I had my eyes on it for a long time, but I found them little expensive. It was priced 3350 rupees before since they had a 50% off sale on them on them. I jumped a chance and ordered them immediately. Somehow I purchased it into 1450 rupees which is really a steal. This is not my first time I made an order from daraz.pk. I'm always satisfied with the service and quality. 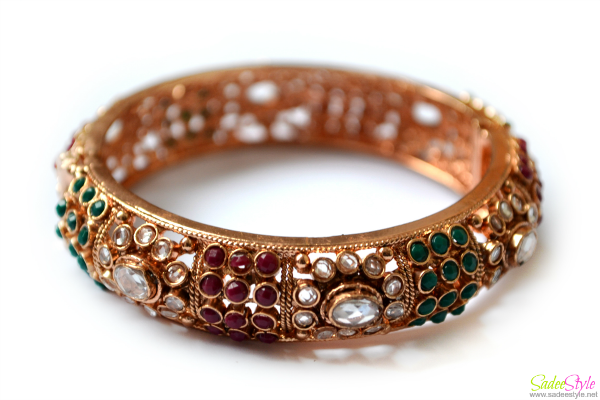 This Kundan bangle is made under the brand by Taneesha and beautifully crafted with Ruby and Emerald colour Stones, this bangle is sure to be noticed at first glance and will give you numerous admiring remarks. It's free size and can be fitted to all sizes of hands. All the future brides should have checked the offers before its end. I would recommend Daraz.pk as the best Online Shopping Store in Pakistan. Wow this is such a pretty post girl a must have for wedding season IA.